Noise induced hearing loss is poised to become the next major public health crisis, having a profound impact not just on professionals at every level of the music business but on all music fans who support them with dedication and dollars. Recent Harvard studies have found that post-gig ringing ears and muffled sounds most concertgoers experience for hours or even days doesn’t simply disappear but is a marker of permanent nerve damage and the first sign of irreversible hearing loss. Yet this devastating disability is completely preventable by limiting exposure and using protection. But whose responsibility is it to educate and encourage friends, fans and co-workers to practice safe sound? Earlove was founded in 2004 by Carolynn Travis — musician, DJ, manager and popular fixture of Chicago’s many diverse music scenes — who’s personal experience with noise-induced hearing loss prompted her to take up the fight against this widespread yet preventable disability. Committed to remaining an active musician while eager to help friends and colleagues avoid unnecessary harm, Carolynn created Earlove as a friendly, nonjudgmental conversation starter and set about giving away as many pairs of earplugs as she could afford. 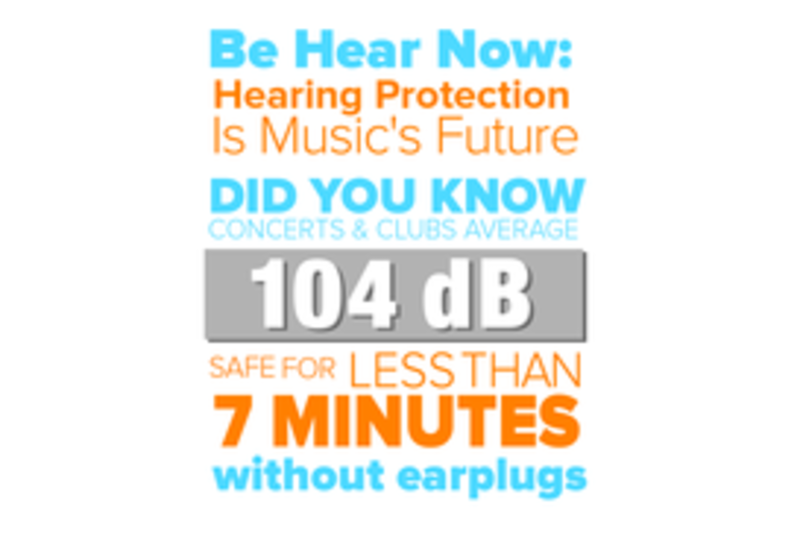 Ten years ago, hearing protection was rarely discussed by concert goers or nightclub devotees. Information about dangerous noise exposure and how to prevent permanent hearing damage wasn’t readily available to the general public. When earplugs were available at clubs and gigs, typically the only option was cheap foam that muffles the music and degrades the sound quality. Carolynn remains steadfast in her goal to help educate the music community. Native Texans Paula Rivers and Janet Krueger are co-owners of Rivers Krueger Audiology (RK Audiology). Audiologists with over 30 years combined experience in the profession with expertise in custom-fit in-ear products for musicians, music lovers, concert goers and audiophiles. Paula and Janet’s core business philosophy centers on being part of the community. RK Audiology supports the local Austin community with both volunteer time and financial support for a number of organizations and events – those with whom we personally have a connection as well as those our customers have a special passion to support. Organizations, local businesses and events include: Austin Independent Business Alliance, Swan Songs, Austin Music People, Austin Music Foundation, Black Fret, HAAM, Cinema East, KUT, KUTX, Austin Pets Alive, Emancipet, Hard Luck Hounds, The 48 Hour Film Project Austin, Travis Audubon, Long Center, Sun Radio … and we are proud owners/members of Wheatsville Co-op. Fourteen years ago, while studying for my master’s degree in music technology at Northwestern University, my advisor Gary Kendall suggested that I might enjoy taking a course in hearing physiology with Jon Siegel in the Department of Communicative Disorders. I had never considered studying this subject, but found this course among the most stimulating of my post-graduate career. Thoroughly entranced by the biological functions of the ear being described in my own language of audio theory and technology, I continued to study in the field and have since developed a course in hearing physiology for the Department of Audio Arts & Acoustics. I suppose I shouldn’t be so shocked to find myself here since, in retrospect, 35 years in the audio field have led to this point. I feel I am now in a position to give back, not only to my students, but to the music listening public through those who are or will be audio and music professionals.